Flaka Haliti (born 1982 in Prishtina, Kosovo, lives in Munich) represented her home country Kosovo at the Venice Biennale in 2015. She was a scholarship holder of the Villa Romana in Florence until the beginning of this year and is the recipient of the Ars Viva Prize. She completed her studies at the College of Fine Arts, Städelschule in Frankfurt am Main and presented her artistic work in individual exhibitions at the Museum Moderner Kunst in Vienna, at the MIZA Gallery in Tirana and the Gallery LambdaLambdaLambda in Prishtina. Flaka Haliti participated in group exhibitions at the Ludwig Museum in Budapest, the Salzburg Kunstverein, the Kunsthalle Wien and the World Cultural Museum in Frankfurt am Main. Flaka Haliti works in the fields of object, installation and photography. In terms of content, her artistic work is concerned with a geopolitical analysis of national boundaries and the identity of associations such as the United Nations or the European Union. 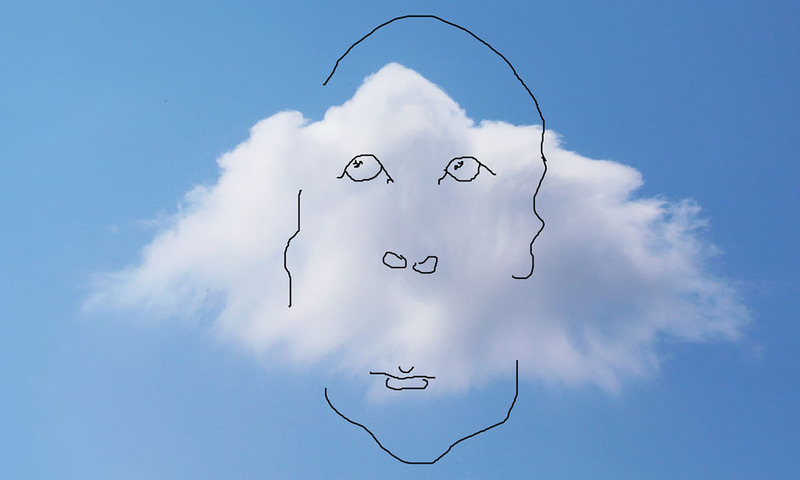 In 2014 numerous cloud photographs were created, which contained imaginary, drawn-in faces. In correspondence with these cloudy faces, the artist presented large concrete barriers. Concrete is not an arbitrarily chosen material, but the primary way in which people claim space from nature (from the sidewalk to the dam). It is also a convenient and easy way to create restrictions, security and borders. In addition to photographs and concrete sculptures, a further part of the exhibition in Lingen will be a 7-meter-long curtain, in shades reminiscent of a sunset. The title of the work “Just Hanging Around” conveys a lot of poetry and humor. The curtain attracts attention, allowing eyes to wander up to the ceiling. A visual obstacle and a sensual shift of fabric and color. In contrast to concrete or stone walls, the soft folds offer consolation and allow a remote and inaccessible horizon to be associated. The strongest obstacles are the soft ones. The presentation in Lingen is supplemented by new works, created in Florence as well as for the Kunsthalle Lingen. The Kunsthalle Lingen thanks the Niedersächsische Sparkassenstiftung, Sparkasse Emsland, the state of Lower Saxony, Emsland, the city of Lingen (Ems) and the cultural foundation Heinrich Kampmann for their generous support.